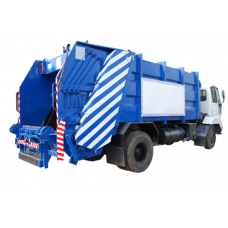 Aman Cleaning Equipments is a Refuse Garbage compactor Trucks for the safe and efficient collection of waste Garbage. The advanced level of features for Machine loading, compacting and transportation are sure to meet your needs. Making the collection process easy and efficient has made COMP 10-16 models popular the all India. Tailgate and ejector controls are in front of the body. All devices for loading control are mounted on tailgate right side, and all are manual control for safety purposes. Compaction is controlled electrically via push buttons, and manually in case. There is an emergency stop button each of side the truck on the control panel.